Broker Smackdown is a 2.5 day workshop designed for emerging leaders to enhance their overall understanding of the business. In teams of four, participants compete in a computer-simulated insurance brokerage market where they are challenged to think strategically and make decisions that senior leaders make every day. The goal is for them to improve their decision-making, strengthen their leadership competencies and understand the impact their decisions have in all areas of the business. 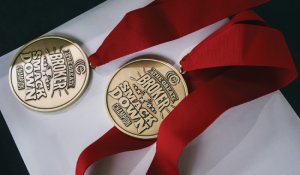 Broker Smackdown has three regional competitions—the winning team from each region will compete in the National Broker Smackdown at the Insurance Leadership Forum in Colorado Springs, Colo., each fall. The simulation that was created for this program replicates an insurance market in a virtual world. The stakes are high, just like in business. 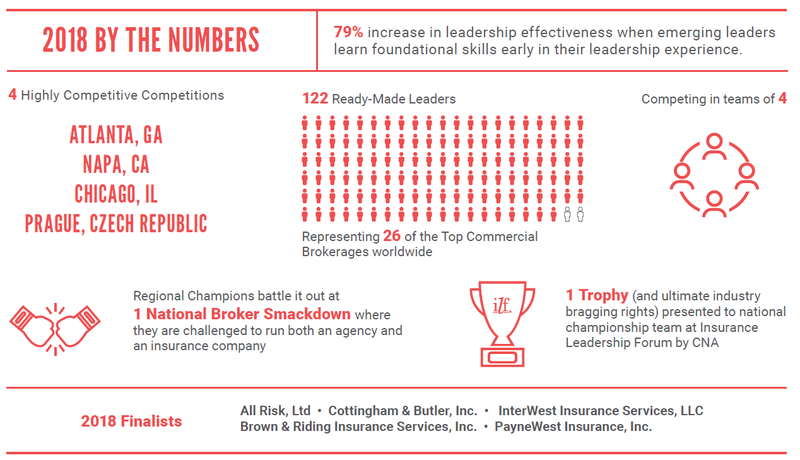 This program is presented as a competition where one team wins the opportunity to represent its firm at The National Broker Smackdown at the Insurance Leadership Forum. Managers play an important role both before and after Broker Smackdown takes place. They receive a guide with recommendations on how to get the most from the investment they have made in training their employee(s).